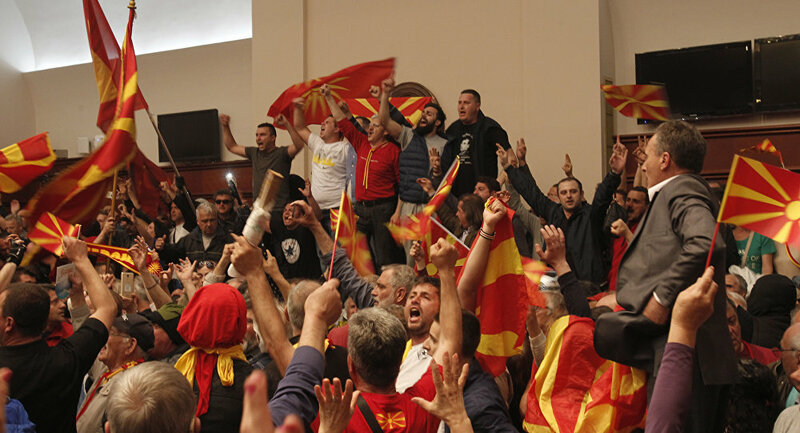 The claims of the OCCRP, sponsored by the US state funds and George Soros, regarding Russia’s alleged interference in the internal affairs of Macedonia are marked by blatant professional ignorance and immense imagination, according to the statement of the Russian Embassy in Macedonia. BELGRADE (Sputnik) — The allegations of Moscow interference in the Macedonian internal affairs, recently made by the Organized Crime and Corruption Reporting Project (OCCRP), are aimed at destroying positive image of Russia in the region and are part of the information campaign against the country, the Russian Embassy in Macedonia told Sputnik Tuesday. The US-supported OCCRP published an article on Sunday, claiming that Macedonia was subjected to "strong subversive propaganda and intelligence activity" implemented through the Russian Embassy in the country. The Russian Foreign Ministry called the accusations of Russia’s alleged interference in the internal affairs of Macedonia a provocation. 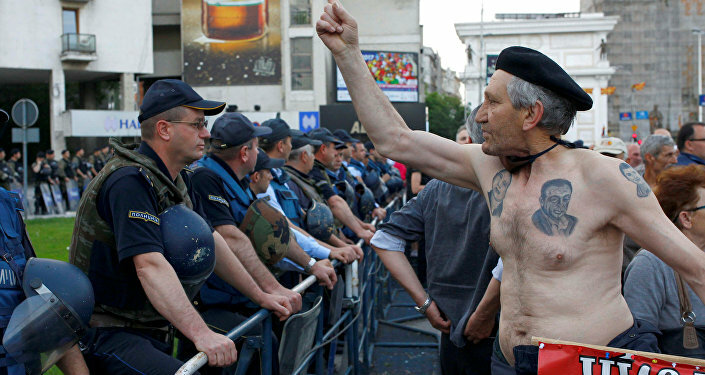 "The claims of the OCCRP, sponsored by the US state funds and George Soros, regarding Russia’s alleged interference in the internal affairs of Macedonia are marked by blatant professional ignorance and immense imagination, though clearly fit into the frame of anti-Russian hysteria, blown up by the West. According to its perverse logic, the development of relations with Russia, including in the fields of trade, economy, culture, education and even humanitarian affairs, poses a threat to Macedonia," the embassy said. The embassy also noted that the latest wave of disinformation on Russia policy, in particular, toward Macedonia was triggered by a series of articles in the UK Sunday Times newspaper in late April. "Their goal is obvious – to undermine Russia’s positive image in Macedonia and in the Balkan region in general, challenge our friendly and mutually beneficial relations with the regional states and rescue West's rather clouded reputation following its outrageous interference in the internal affairs of Macedonia, " the embassy added. According to the embassy, masterminds of such information attacks had nothing to oppose Russia but lies and fake accusations.